There are some sources in my book that were not mentioned. I thought about them later as I was completing some internet marketing tasks so I thought that I would mention them here just to keep you up-to-date on the various methods that you can employ in your internet marketing campaigns. SocialMarker is a social bookmarking tool that you can use that will post to about 17 of the top social sites that carry a high page rank. Due to the recent Panda and Penguin algorithms implemented by Google you will want to make sure that the links that you build are on hub pages and authority sites so that your efforts will be recognized for years to come. Posting to social sites is within the parameters for having your links remain relevant in the future with Google. Keep in mind that in order for Google to maintain their integrity and to keep us honest, from time to time, they will change their algorithm. When this happens some website owners experience what is called the ‘Google Slap.’ This is when a website has been ranking on the first page of Google where they are experiencing a lot of traffic and sales and are suddenly removed (slapped) to pages 3 or 4 or higher where they will experience less traffic and fewer to no sales. Unfortunately, I have a couple of friends and acquaintances that experienced this phenomenon recently with the new Panda and Penguin algorithm. One in particular was slapped pretty hard and is no longer earning the online income that was keeping them afloat. Since none of us want to experience this, it is imperative that you build your links on social media sites and hub pages and authority sites. In my book mentioned above, there is a Link Directory list. 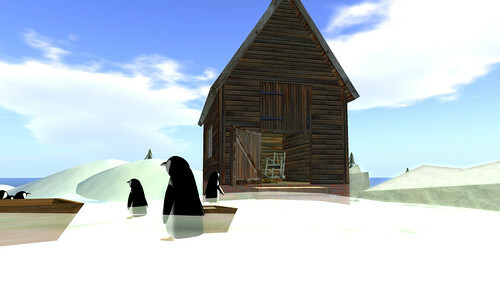 The list is no longer valid as of the Penguin and Panda algorithm and I would not use those directories to build links. I will update this in the book shortly. In fact, I would recommend that you simply spend $5 on Fiverr and delegate that task to someone there. If you can’t spend $5 on your business, you should not be in business! There was a time when I would do all of my marketing myself. I didn’t want to spend money on marketing at all and I even took pride in the fact that I refused to spend money on marketing. However, once you become accustomed to delegating your tasks or out-sourcing them, your life becomes a lot less hectic complicated. It actually allows you to breathe a sigh of relief. It frees you up to do more important tasks. At first, I could not really comprehend the importance of out-sourcing because I truly didn’t want to spend any money, but once I tried it and found Fiverr I was hooked. For $5 you can’t beat it! And, these people at Fiverr really put out highly professional products. Safelist Marketing is free and can be beneficial especially if you are promoting free to join opportunities. If you are really ambitious and would like to own your very own Safelist it will give you an opportunity and a platform to further advertise your products and services. Owning your own Safe-list is fairly inexpensive but it will require work on your part at the administrative level. If you decide to do only marketing on this platform, you will need a list email address and a contact email address. I would recommend you set them up on gmail because you are going to get a ton of mail. You will also have to set up a lot of Safelist accounts in order for this type of marketing to be effective. Try to set up as many as you can. At least 50+. You can Google ‘free Safelists’ to find the ones that are available. When I want to promote a free offer fast, I will use this type of marketing and you will get some sign-ups quickly. It is time-consuming so you will want to set up your ad in advance along with the url you are promoting. Do this in Notepad and copy and paste as you go along. If you have a long url you can use an url shortening service like AdsPlus where you will get paid for promoting the url that you shorten. These short urls are very good for promoting on Twitter, Facebook, Google Plus and any of the social media sites. Craigslist is a good place to post anything. You can post free to their classified section, post ads for cars, room-mates, motorcycles, rentals and just about anything that you can think of. I am sure with all of the media publicity about Craigslist that you are familiar with them. I used them to sell a motor-cycle and it was snatched-up within hours. Rabid buyers with cash were lining up to purchase it! Webinars are a good way to promote your products and/or services. You can check out Webex, while GoToMeeting seems to be the one that most speakers prefer. You can sign up free for 30 days and hold a Webinar free of charge. If you are a good speaker or if your forte is making presentations you could attract a lot of attention for your product or service. You teach your audience something noteworthy during your presentation and at the end of the presentation you can command a higher price ticket item. Google Plus is a very hot social media platform right now. As a matter of fact it is being touted by some that the hottest social media sites right now are Facebook, Twitter and Google Plus. These are the 3 must have social media sites. So if you are not utilizing this service it would be in your best interest to set up your site as soon as possible. In my book, I mentioned that Onlywire is a social bookmarking tool that you can use to post to 47 social media sites free of charge. However, after signing in to use the site I was informed that there is now a $9.95 monthly fee to join and that my username and password were no longer valid. Therefore, I sent them an old e-mail that I had received from them dated in the year 2007 asking them to re-instate my account as a free member as I have been with them utilizing their free service for all of these years. Well, they did re-instate my free account. However, I noticed that you are now able to submit to 300 social media sites for the $9.95 fee. That is all good, but as I mentioned in my book, you can use Fiverr and there are people who will post to 600+ social media sites for $5! Classified Ad Sites are a good place to advertise depending on your product or service. I have had good results sometimes using classified ads and some times not so good. It just depends on what you plan on advertising . I would recommend that you look through the ads and if you see some that have been listed for a very long time then you know that they are obviously effective, or else they would not have been there over the long-haul. Notice what products or services the ad promotes and if that is akin to what you are promoting, you can place your free ad as well. If you are unfamiliar with some of the topics covered in this article, go Google it. Become accustomed to doing your research online. It is imperative that you get in this habit from the beginning because you are going to come upon terms or concepts that you have no idea about. So, if you are wondering what I am talking about in any part of this article, again, Google it! Keep in mind that things change very fast on the web. So, if you are truly new to online marketing, you will see many websites come and go. Change takes place so fast that whatever is happening now may or may not be valid 6 months from now. So, if you see a company online that has been around for a year or two you can pretty much bet on that site’s relevance, for now anyway. If I am straddling the fence about a business opportunity and I see that they have some longevity, meaning a year or two online, I might take my chances on them. However, on occasion I have based my decision on their longevity and they have still gone out of business within months of me making the decision! So, you just never know. The last thing that I want to mention is that if you are thinking in terms of purchasing a product or service and you go to the check-out screen and then cancel out, you will be given a message not to leave the page and will be given a second opportunity to purchase the product at a discounted price. Sometimes you will be given a third or even a fourth discount if you keep trying to leave the page. So, leave the page as many times as possible so you can get the best price. My point is simply, Do not purchase the first time. Click the purchase button as if you are going to purchase and then leave, but hit stay on page, and this usually takes you to a discounted price. Now, on rare occasions you will not get a second chance for a lower price. But in most cases you will, so never buy the first time! Okay, that’s my hot tip of the day! 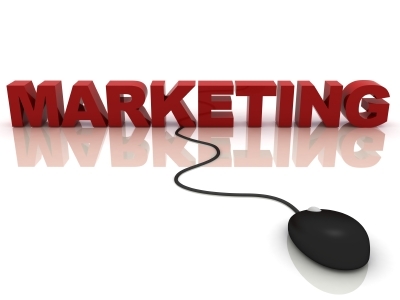 This article Free Marketing Sources Update is brought to you at the InternetMarketingarc. With the state of the economy, and the current high unemployment rate, I would imagine that there are a lot of people looking to make a living online. 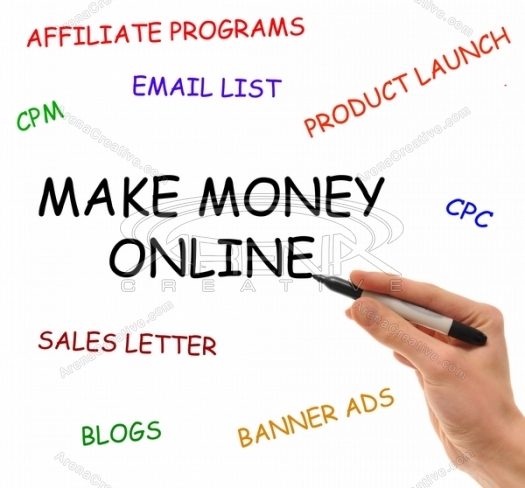 However easy it may appear, making money online is generally not an easy task. I have been visiting the newbie internet marketing forums recently and the main thing that I have noticed is that they do not have a clue as to how or where to begin marketing their products, and services nor do they have a clue as to what to market. The second thing that I have noticed is that they do not understand that it takes trial and error, research and hard work to become successful as an internet marketer. Many believe that they can go online and promote a product and within 30 days or so realize a profit. For most, it just does not happen that way. It would be nice if it did. However, if that were the case most of the workforce in the United States and abroad would not have outside employment. They would just go online and start generating cash! 1. Research is key in everything you do online. If you are promoting an affiliate product, you must research to make sure that the owner of the affiliate program has a record of paying on a regular basis and of course you must do the research to find out how much you will earn per sale. You have to research the products and services that you are most interested in offering. Make sure that they are products that you would purchase yourself. Your enthusiasm is your best sales tool. Make sure to research anything that you decide to purchase online as well. You must research the many areas of marketing. If you have a product or service you must research the way in which you will market your product. This includes whether or not you will use a link building program, article marketing, social networking, classified ads, forum marketing, other free marketing resources or paid advertising. Don’t forget that you have the most awesome research tool right at your fingertips. The internet! 2. Experiment. You must experiment with the various marketing techniques in order to see which ones fit your particular business model. 3. Make sure that you incorporate a variety of marketing techniques into your marketing plan. This is often referred to as your marketing mix. For example, if you choose writing articles as one of your marketing strategies you could then incorporate submitting your article not only to the article directories, but also to social bookmarking sites, then to a forum. That covers 3 marketing strategies. That would be considered your marketing mix for your articles. However, you must incorporate various marketing mixes into your plan of action. Once you see which combinations work best you will then be able to refine and perfect your marketing techniques and well as your marketing skills. 4. Build your list. It is a great idea to begin building your list from the very beginning of your online marketing career. There will be some expense required for an auto-responder which you will need in order to build your list, but it is well worth it because you will be able to offer up-sells or other products to the customers that you have established trust and credibility with. Consider them your prospects or leads. 5. Stay focused. That is a major key factor in keeping to what you set out to do online. I think everyone faces this dilemma. If you set out to write an article, or to post to forums on a particular day, don’t get side- tracked by the many distractions on the internet. It is so easy to go to your email box to confirm a link, and get side tracked on an ad and to momentarily set your attention elsewhere. 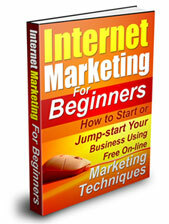 Internet marketing takes patience, determination, research and enthusiasm for your dream. Never give up on your dream because if you can dream it, you can achieve it. And make sure you dream big!